Vietnam is one of the places where OAD funding has had a massive impact, due to the work of a dedicated team of amateur astronomers at the Ho Chi Minh City Amateur Astrononomy Club (HAAC). The HAAC, supported by the OAD, succeeded in bringing together most of the amateur astronomy clubs in the country under one organisation called VietAstro. They host meetings for the clubs, maintain a website full of astronomy information and resources and launched the ambitious task of translating Galileo’s Starry Messenger into Vietnamese. 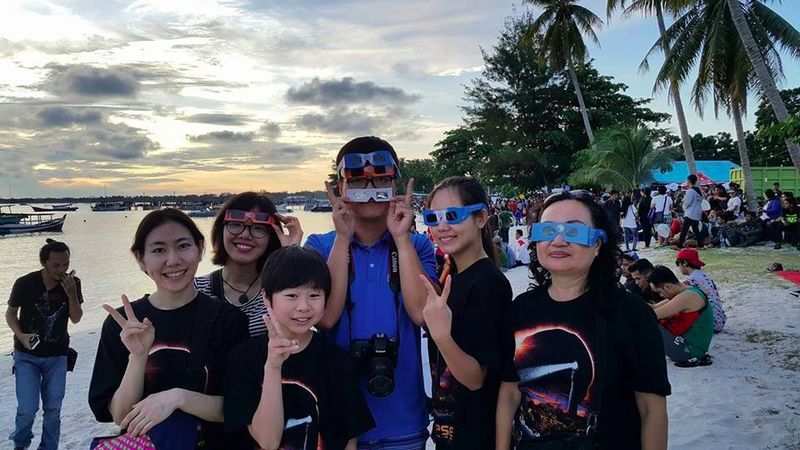 Amateur astronomy clubs have an important role in outreach and developing science literacy – particularly in countries like Vietnam where formal astronomy education is limited or inaccessible to the general public. In 2013, the HAAC recognised the need to unify the various astronomy clubs scattered across the country. Many of these clubs were in rural areas, and lacked support and leadership. They received funding to create VietAstro – a platform to unify and formalise astronomy clubs across the country. The VietAstro website they created also functions as a source of accurate astronomy information for the press in Vietnamese. Following the creation of the website, in 2014, VietAstro hosted its first national meeting. This brought together 85 participants from seven different astronomy clubs for two days of learning and activities. VietAstro also engaged in outreach activities, like stargazing with schools and public talks by professional Vietnamese astronomers. Their events attracted astronomy enthusiasts from diffeent backgrounds and of all ages. University students, schoolchildren, parents and professionals were often active participants. As with many outreach activities that target an audience with diverse ages, backgrounds and education levels, one challenge was the question of deciding at what level to communicate astronomy concepts without confusing younger participants or oversimplifying. VietAstro is also trying to find a print publisher for their translation of Starry Messenger, to bring the book to people who cannot access the online version. They would like to continue their series of public talks by Vietnamese astronomers who work abroad and reach out to more participants for the Tropical School in Undergraduate Astronomy. Since 2015, VietAstro has succeeded in its goal of formalising amateur astronomy in the country. The HAAC has become a legally-recognised institution, and, with support from public and private organisations, will receive its own office and observatory in the near future. VietAstro is thus bridging the gap between passion for Astronomy and scientific knowledge. The above text was written by Munira Hoosain for the OAD Projects Booklet. Cosmic Light is one of more than 120 projects funded by the OAD globally since 2013.